Don’t let the name lead you in the wrong direction. This is anything but sweet and buttery. This is the Indian version of buttery. It’s one frozen entrée where the whole is more than the sum of its parts. Let’s start with the rice which was not sticky, but a little watery at the bottom of the tray. I’ll blame this small problem on not punching enough vent holes in the plastic film. The rice was more like regular long grain rice than basmati rice. 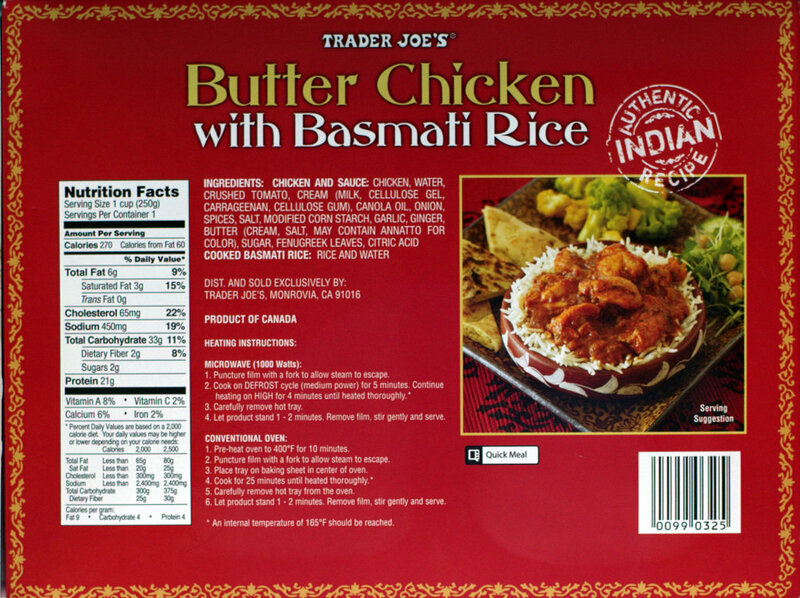 The sort of nutty flavor of basmati was generally missing. The sauce had a heart burn inducing heat. Fortunately the heat was not long-lasting. While the red pepper based heat showed up like a hot summer day, there were few other flavors evident. Hmm, I sort of missed those other flavors. At first glance the rather tough chicken pieces seemed sparse. However the tray was fairly deep, and an adequate amount of chicken was hidden under the sauce. As the previous sentence implies, there was also an adequate amount of sauce. Mixing the rice with the sauce seemed the way to go, giving the rice more flavor and the sauce less heat. While the individual parts were found lacking in some respects, overall I liked this. For those liking some heat in their food, this satisfies that need. Surprisingly and unexpectedly considering the mere 270 calories indicated on the box, I was also left with a nice feeling of fullness. In parting, just a note about those 270 calories. The nutrition label indicates: 270 calories per 1 cup (250g) serving – servings per container 1. However the front of the box lists, 12.5 ounces (354g). In my math that would be about 1.4 servings in the box. This entry was posted on 04/13/2016 at 01:15 and is filed under food, Recipes, food, cooking and related items, Trader Joe's. You can follow any responses to this entry through the RSS 2.0 feed. You can leave a response, or trackback from your own site. Heat, no flavor? 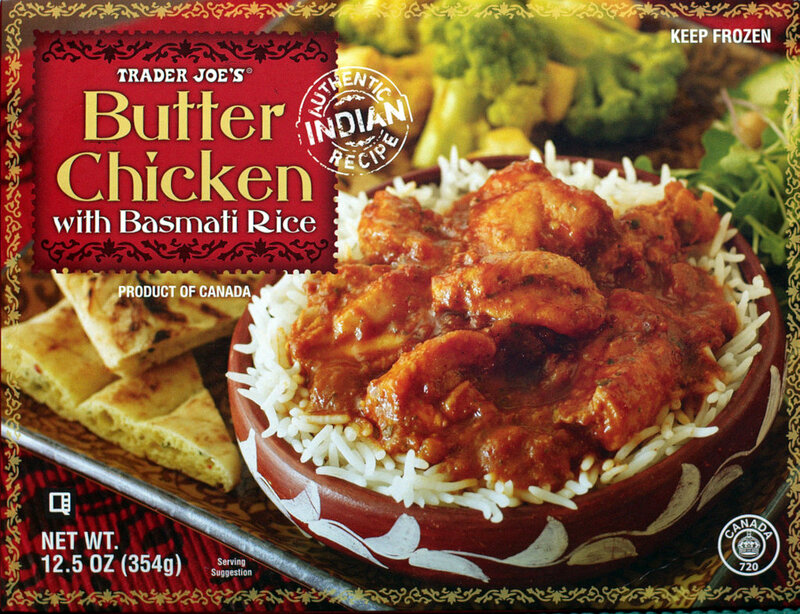 I have no Trader Joe’s near me but when the schedule is full I do eat TV dinners. Thanks for the review!